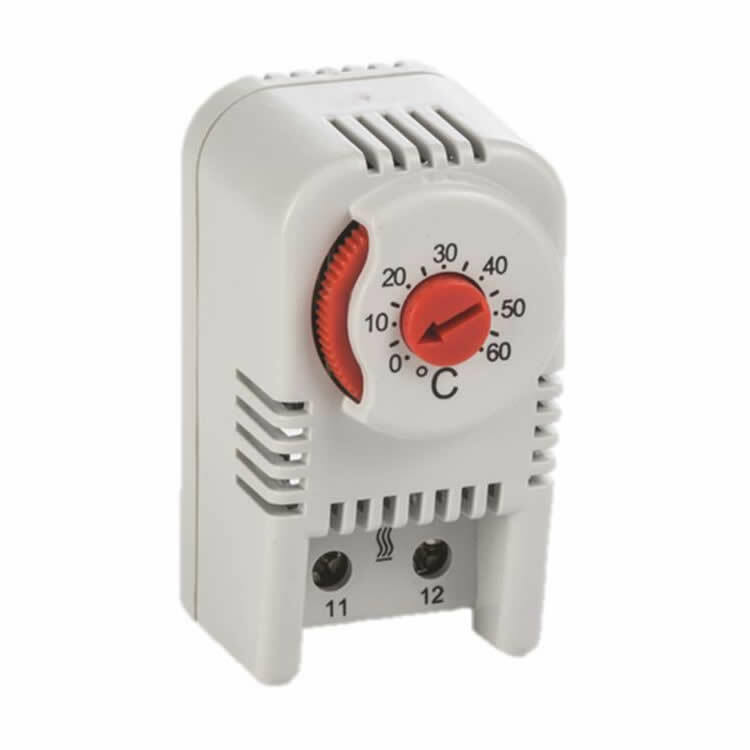 PTHT IP20 heating thermostat with normally closed contacts for heating devices. Small size, simple to mount, and high switching performance. Clip for mounting on 35 mm DIN rail. 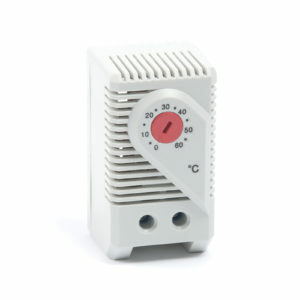 For the accurate control of temperature and condensation. Operate with a snap-action, bi-metallic, two pole contact set. Normally closed contacts for regulating heaters. Made from UL94 V0 ABS flame retardant plastic.